Do FPS games still need a singleplayer campaign? Call of Duty: Black Ops 4's lack of a traditional campaign raises the question. 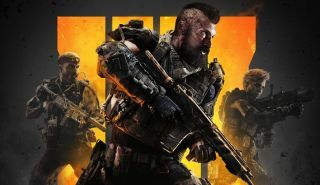 Now that we know that Call of Duty: Black Ops 4 won't have a campaign, we can revisit our discussion from last month: do modern FPSes need conventional singleplayer modes As you might expect, there was a wide range of responses, and it's worth saying that all of us love good singleplayer games no matter what. We encourage you to join in via the comments below. In this soulless, transient age of 'games as a service', big mainstream shooters definitely don't need singleplayer campaigns. They're lavish, over-produced wastes of money, frankly, offering nothing in the way of innovation or imagination. The campaigns in these games almost feel apologetic, like an item on a checklist that has to be ticked. And I think developers are realising that all people are actually interested in is having the same mind-numbing multiplayer experience over and over again. I would love the singleplayer FPS campaign to be relevant and interesting again. I remember playing the Modern Warfare one and being blown away by how bold and cinematic and provocative it was. But that was a million years ago, and all the genuinely new, forward-thinking stuff in games is happening in the indie space, or in smart blockbuster games like Dishonored. So let the FPS campaign die, because it outlived its use a long time ago. Without doing the boring "well, it depends on the game" I'm going to say that, no, FPS games in 2018 do not still need a singleplayer campaign. Of course I love the idea of playing through more exquisitely designed levels like the ones found in Titanfall 2 (and who doesn't love killing nazis in Wolfenstein?) but when I also glance over at my Steam library and see the shooters I played the most in 2017, they were ones that didn't just have great multiplayer—they had no singleplayer whatsoever. Rainbow Six Siege, PUBG, Rising Storm 2—the list goes on. These games prove that you have incredible success and be enjoyed for hundreds of hours without a proper campaign. And it makes sense, right? As good as a campaign can be, it's typically pretty linear and doesn't last all that long. It only makes sense that developers would go for the mode that provides the most value to them (through DLC and microtransactions) and the players (who can effectively plunk hundreds of hours of fun into one game). But what I think is really cool about this is that these games are now, more than ever, free to focus on what they're good at. As much as some FPSes are dropping singleplayer, others are dropping multiplayer. Gone are those awkward years when a good singleplayer FPS had to tack on awkward multiplayer just for the sake of it (Condemned 2: Bloodshot, I'm looking at you) and vice versa. Instead, both types of FPS can focus on doing what they're best at: We can have our Preys and our Wolfensteins, and also have our PUBGs and our Rainbow Six Sieges. It's actually kind of an amazing time to enjoy FPS games, and I love that I haven't played a shooter with an identity crisis in a long time (I haven't yet installed Radical Heights, zing!). So do I think shooters need a singleplayer campaign? Absolutely not. Do I think Black Ops 4 is going to be good without a singleplayer campaign... well, it's actually the same answer. But that's a whole other tangent. Yes. There will always be exceptions like Overwatch and PUBG that can thrive without singleplayer, but those are enormously successful and rare games. In 2018, the gaming landscape is incredibly crowded, and a strong singleplayer campaign offers something distinct and memorable that can potentially sell for years to come. It doesn't have to be a massive success at launch. Nu-Doom, for example, was one of Steam's top 100 bestselling games in 2017, even though it released in May 2016 (and I doubt most people were buying it for the multiplayer). Meanwhile, any multiplayer-only shooter is launching into an incredibly competitive space. What's going to convince players to leave CS:GO, or Rainbow Six Siege, or Overwatch, to play your new game? If it's free-to-play, building an audience is definitely easier, but it's rough out there for games trying to build a sustainable community and charging up-front. Part of the problem is the perception that comes from looking at the player statistics for those top games, and having the same stats available for every game on Steam: "Oh, there are 300,000 people currently playing PUBG, but only 75 people playing Battalion 1944? That community is dead. I'm not buying that game!" The same stink of death was applied to Lawbreakers shortly after launch, and that perception definitely turned some players away. Singleplayer is the most reliable counter to the overcrowded market. Or a focus on co-op, which I consider a bit different than full-on multiplayer—a game like Killing Floor 2 doesn't have a narrative campaign, but could still be enjoyed with a couple friends if the online community wasted away. On the one hand, first-person shooters need to have singleplayer campaigns if they're going to continue appealing to the market of misanthropic hermits like me who only play multiplayer games so we can complain they don't have bots, or if they do they're definitely not good enough bots. On the other hand, I haven't played a Call of Duty since the original Black Ops back in 2010 and now just play retro indie craft beer shooters like Ion Maiden and Amid Evil instead, so it's not like they were going to win me over no matter how much they spent on hiring one big-name actor for the single-player campaign anyway. What I'm saying is I don't have a horse in this race, which never stopped anybody from sharing their opinion on the internet as the comments below will bear out. You should definitely check out Ion Maiden though, which is like Duke Nukem 3D only you can blow somebody up with a bowling ball bomb and then kick their head around. Good shooter campaigns are hard to make, so when a great one comes along I treasure it and replay it over and over again. I've gone through Titanfall 2's campaign several times because the movement systems feel so damn good in that game, and the campaign's levels are built to get as much out of those systems as possible. That's the exception to the norm. I think we might be forgetting how bad poorly made singleplayer campaigns are. I was playing Duke Nukem Forever recently to satisfy my morbid curiosity, and quickly remembered how tedious it can be to blast rubbish enemies with crap guns. Steven might be right. Maybe it's better for games to specialise in one or the other rather than trying to ace two quite different disciplines. Doom didn't really need its multiplayer mode to be great. I don't crave multiplayer from the new Wolfenstein games. I'm just happy that studios are still making exciting full-length campaigns at all. What it comes down to for me is: Don't waste my time. There are so many game out there doing interesting things and I only have a limited amount of money and an even more limited amount of time. If a dev is prioritising multiplayer for whatever reason, that's fine. But don't then also commit to a singleplayer campaign that doesn't get the right support or resources during production and ends up dreary and dull. Same with the reverse: definitely DO make your dream singleplayer project but don't then tack on a lacklustre multiplayer thing assuming that'll appease everyone who might wander through your door. Obviously this is from a punter's point of view. If companies are still doing it I'll assume there's a solid business case for it. But good lord, big games so often feel like jealous friends who don't want you hanging out with other people. Just be okay with me getting my singleplayer fun elsewhere instead of trying to be my everything! We can go for a milkshake and a gossip another evening. Obviously that's not the same as saying that campaigns should go away entirely. Destiny 2 habit aside, it's games like Wolfenstein, Prey, and BioShock that keep me playing shooters. I played the CoD: Modern Warfare games for the campaign. On a personal level, singleplayer is completely my thing. But the business is big enough now that the pressing need for individual games to cover both bases just isn't there anymore. I love a good FPS campaign, and I do feel like singleplayer games generally are under threat—those that don't require tens of hours of play time and have loads of sidequests, anyway. But I stopped playing Call of Duty's campaigns after Modern Warfare 3, and if Activision and Treyarch don't put a singleplayer option in the game as it's been rumoured, there might be some logic to that. I would speculate that a decision like that would be based on what the completion stats are for Call of Duty campaigns these days. And PC Gamer collectively hasn't enjoyed a COD campaign in years. Wes's example of Battalion is interesting, because Call of Duty doesn't need to worry nearly as much about a similar slide in player base. I won't complain about them taking it out, but then I wouldn't pay full price to play a new Call of Duty game either way. But I do think trying to do something interesting with a campaign is better than walking away altogether. Battlefield 1's War Stories are slight but exciting and novel. Titanfall 2 shows how you can reverse engineer multiplayer systems into something thrilling and varied. Maybe that's not what the vast majority of people find compelling about modern games, but I don't care, I like singleplayer when it's done well and will still pay for it.